Install the NEW plastic compressionlimiters-(1). 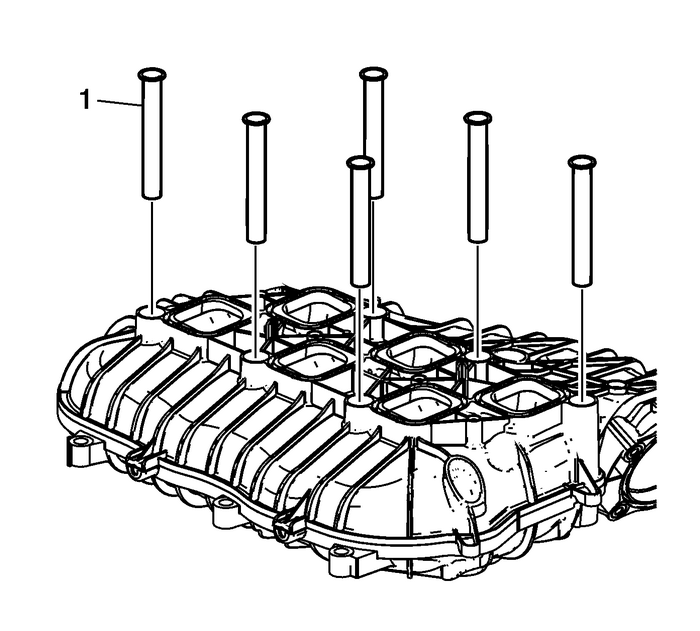 Install the NEW lower intake manifoldgaskets-(3).Install the lower intake manifold-(2) andbolts-(1). 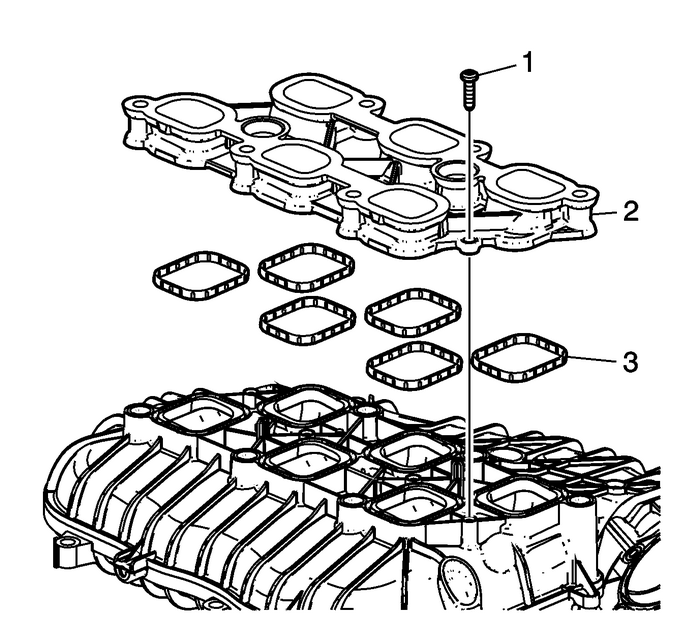 Tighten the lower intake manifold bolts-(1) to7-Y(62-lb-in). 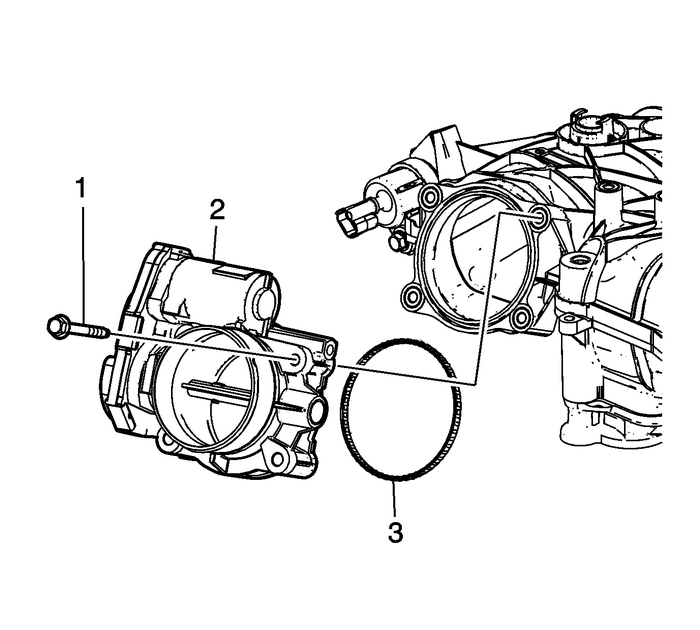 Install the MAP sensor-(2).Install the MAP sensor bolt-(1) and tighten to4-Y(35-lb-in). 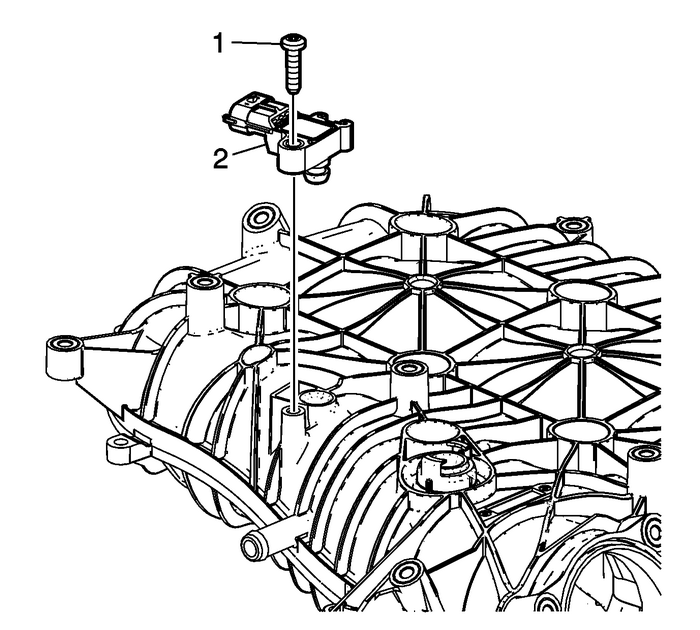 Install the EVAP solenoid-(1).Tighten the EVAP solenoid bolt to10-Y(89-lb-in). 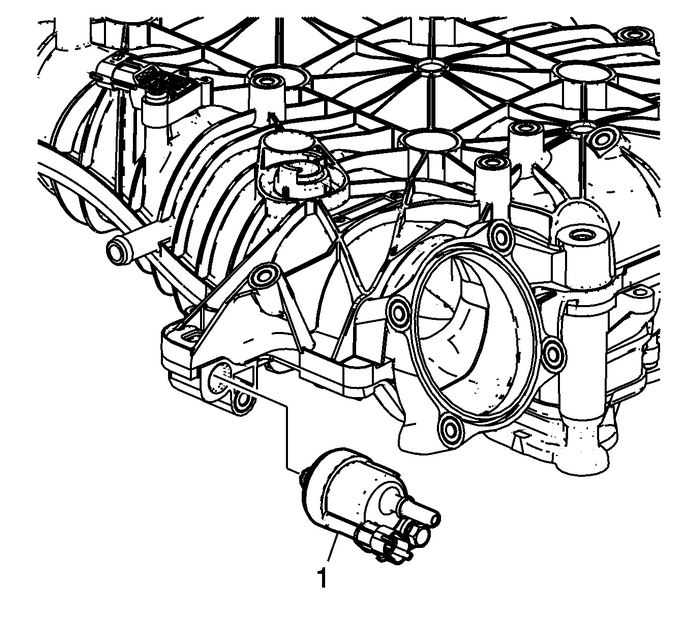 Install the NEW throttle body seal-(3).Install the throttle body-(2).Install the throttle body bolts-(1) and tighten to10-Y (89 lbin).